The Company derives its name from Furahani Ali Manik, the late father of the two brothers, Mohamed Ali Manik, and Ahmed Ali Manik, who are the stakeholders of the Group. FALIM was incorporated in 2001 as it was deemed necessary to consolidate the various activities undertaken by the different companies under a common policy framework and at the same time streamline the various investments of the group. In 1996 Mohamed Ali Manik established Insight Consultancy Services (ICS) as a partnership between the two brothers, which, at that time was the only business consultancy firm in the Maldives. The business grew slowly and steady for the first four years and later on paved the way for further expansion due to the increased in the demand for services provided by ICS. Services offered by ICS comprised of mostly computerization and consultancy projects of which the former required rigorous user level and administrator level training for the various software marketed by ICS. This, combined with the incessant demand for other short and long term training programmes necessitated the separation of its training activities as an autonomous facility. It was also decided to consolidate the activities of the then ICS Mobile Training Centre which was constituted to cater to the specific training needs of ICS as a standard training center in Male’. Subsequently the Modern Academy for Professional Studies (MAPS) was registered as a full fledged Training facility at the Ministry of Education in July 1999. MAPS now runs diverse study programmes ranging from Certificate to MBA from hospitality to IT, and business. MAPS became MAPS College in January 2011. Further to the decision to streamline the activities of the various companies under FALIM, ICON Investments Private Limited was constituted and registered in July 2001 with the principal objective of operating as an IT products and services company in the Maldives. The major activities of the company then included reselling IT products such as branded and unbranded computers, servers, and other accessories and consumables. A service center was also established to cover the customer support and after sales related activities of the company. ICON was appointed as the Business Partner for the world renowned Hewlett Packard brand of products in the Maldives in early 2005. Then ICON arguably controlled more than 30% of the PC and servers market and close to 50% of the HP consumables market in the Maldives. In a strategic move to establish ICON’s presence in the neighboring countries and with a view to integrate better with regional markets ICON set up a full fledged HP showroom and Administrative office at Galle Road in Colombo. All ICON’s operations were temporarily suspended to bring about some necessary major restructuring to its operations. The country’s excessive dependence on tourism and the frequency with which FALIM and its subsidiaries had to interact with the tourism sector greatly exposed us to the business openings in the tourism sector. This eventually paved the way for our start up as a tour operator company and subsequently a fourth company namely, Moodhu Holidays Private Limited was registered in April, 2005 with the primary objective of marketing and sourcing tourists from the rest of the world in to the various resorts in the Maldives. The demand for customized software development in the Maldives has been a unique phenomenon which FALIM had been following quite closely for the past several years. The strengths of the company in other areas such as sales and support for POS and other accounting related software like Retail Pro, QuickBooks, Tally, and ACCPAC provided an enabling environment for the development of a new division to develop custom made software based on specific client requirements. Subsequently, a fifth company was registered by the name Workflow Technologies International (WTI) Private Limited in July 2005. 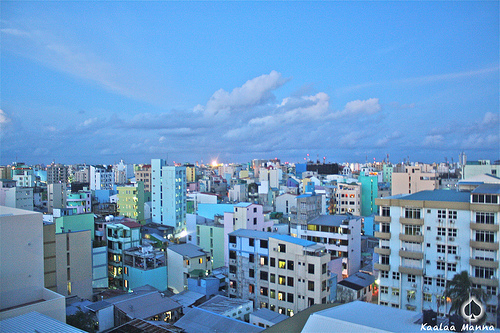 FALIM also began to invest in the real-estate business in early 2007 with the development of a twelve story residential and commercial building on the north east side of Male’. The building proved to be a very valuable asset to the Group and today AMINA Residency is operated in this building. Shortly after the project was completed, FALIM Group decided to venture into the construction industry by incorporating HAZA Construction Private Limited as a subsidiary of FALIM Group in 2009. After a couple of years of shaky start, HAZA is now one of the most profitable companies in the FALIM Group. FALIM also made few other small investments in the period from 2007 to 2011. One of which is the acquisitions of a Gulf Craft Touring 30 Launch and establishment of AMINA Marine to serve the sea transportation requirements of the Moodhu Holidays as well as other customers. FALIM saw an opportunity or a gap in the market and invested in opening the first exclusive toys store in the Maldives under the brand name of Toys World. Though three outlets were opened in various parts of Male’, they were recently cut back to just the main outlet in Henveiru after few years of operation. FALIM also revived its early days experience in managing pharmacies by investing in chain of modern pharmacies under the brand name of Ten by Ten. A total of three outlets were opened in various locations in Male’. FALIM continues to explore possibilities and opportunities to move forward in achieving its vision to invest in and operate diverse businesses that will contribute to enhance the quality of life of the common people and to share the fruits of its success with the society at large and in the process become a catalyst for the further growth of other businesses.